Be the first to share your favorite memory, photo or story of Marsha. This memorial page is dedicated for family, friends and future generations to celebrate the life of their loved one. Marsha K. Helton, 67 of Herrin, passed away 6:00 p.m. Thursday, February 7, 2019 at Parkway Manor in Marion with her loving husband and children at her bedside. Marsha was a retired secretary from the Illinois State Police District # 22 at Ullin, IL. Marsha was a member of the Herrin Church of Christ. 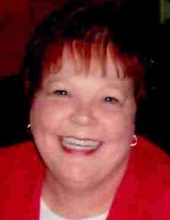 Marsha was a very outgoing, loving, and accepting person. She loved her family, church family and all children, and God above all. She was very well respected by the IL State Police co-workers and friends. Marsha was born July 14, 1951 in Carbondale, IL to Bill and Tina (Reynolds) Bolen. Marsha was united in marriage with Michael S. Helton on August 2, 1969 in Carbondale, IL. Surviving are her husband of 49 years, Mike Helton of Herrin; daughter and son-in-law, Michelle and Rodney Hannah of Surprise, AZ; son, Christopher Helton of Palm Springs, FL; four grandsons, Lucas Helton, Nicholas Helton, Brady Hannah and Alex Shay; brother and sister-in-law, Billy and Janice Bolen of Morehead, KY.
She was preceded in death by her parents and a brother, Terry Bolen. Services will be 11:00 a.m. Wednesday, February 13, 2019 at Meredith-Waddell Funeral Home in Herrin with Scott Cody officiating. Visitation will be from 5:00 p.m. until 8:00 p.m. Tuesday, February 12, 2019 at the funeral home. Entombment will be in Egyptian Memorial Gardens and Mausoleums in Energy. Memorial donations are suggested and may be made to the Herrin Church of Christ Youth Program; envelopes will be available at the funeral home. To send flowers or a remembrance gift to the family of Marsha K. Helton, please visit our Tribute Store. "Email Address" would like to share the life celebration of Marsha K. Helton. Click on the "link" to go to share a favorite memory or leave a condolence message for the family.